Billy delivers a worthy performance in his return. But the Academy might want to look to red-carpet star Sacha Baron Cohen to light up next year’s show. 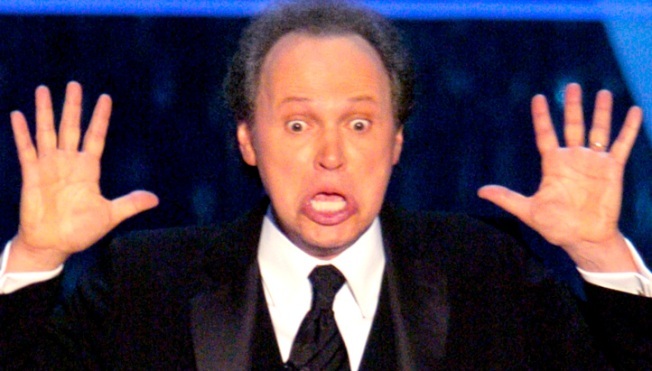 Billy Crystal earned some laughs in his ninth stint as host of the Oscars. On a night when the Oscars celebrated a bygone era in film by giving "The Artist" the big prize, Billy Crystal delivered an old-fashioned solid performance that was almost enough to silence residual chatter about last year’s Anne Hathaway-James Franco hosting fiasco. Crystal poked as much fun at himself as at the movies in a funny, if familiar, opening montage that inserted him into films ranging from “The Help” to “The Descendants” to “Hugo,” aided by cameos from George Clooney, Tom Cruise and Justin Bieber (“I’m here to get you the 18-to-24 demographic,” Bieber told him in a “Midnight in Paris” sendup). The line – along with a "Moneyball” spoof placing Crystal around a table with ancient gag writers – unspooled a string of jokes acknowledging Oscar’s age problem, which was compounded by last year’s lame youth-movement attempt. Still, the success of any Oscar broadcast hinges more on the movies than on the host – and the Academy did itself no favors by snubbing "Harry Potter," the most successful film series in movie history, one final time. The Academy's initial threat to prevent Sacha Baron Cohen from showing up as his new General Aladeen character showed equal cluelessness. His outrageous red carpet stunt, dumping the supposed ashes of Kim Jong Il on Ryan Seacrest, proved the night’s most daring and Internet-friendly comic moment – and could end up more talked about than the show. The Academy bosses might want to consider courting the "Borat" star as next year's host. Crystal, in his ninth stint at the helm of Hollywood’s biggest night and his first since 2004, served as the TV equivalent of comfort food at a time when the Academy’s challenge is to come up with a more ambitious recipe to grab younger viewers. That’s not a knock at Crystal, who fired off some good quips (“Just call me ‘War Horse’”), warbled a reasonably entertaining medley celebrating the nine Best Picture nominees and got deserved laughs with the revival of his "What's Everybody Thinking?" bit that gently mocked the stars in the crowd. But the show, with its first-movie-experiences theme, largely was rooted in the past. Cirque du Soleil's acrobatics amid a backdrop of clips from the likes of “North By Northwest,” "Gone With the Wind” and “From Here to Eternity” likely played better in person than on the small screen. The filmed “Wizard of Oz” focus-group skit, reuniting Christopher Guest’s regular mockumentary cast members, proved a highlight, even if it marked another segment linked to ancient movie history. 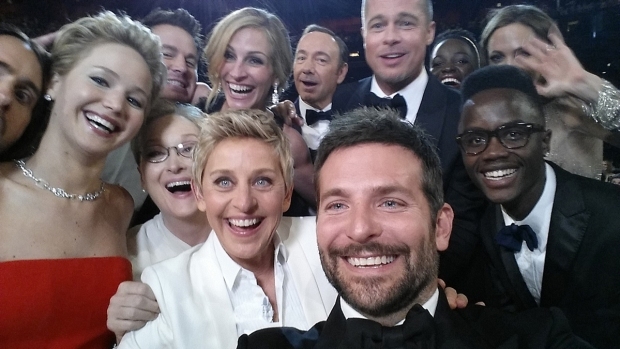 The overnight ratings will show how the 84th Annual Academy Awards did with the folks who buy movie tickets. A longer period of time will be needed to tell how Crystal’s performance stacks up in the collective pop cultural consciousness against his past triumphs. But it’s worth noting his most memorable Academy Awards moments – entering on the Titanic, being rolled in as Hannibal Lecter and showing up as Gollum in a “Return of the King” clip – all were tied to high-quality blockbusters that achieved Oscar glory. Crystal did an able job in a year in which runaway box office smashes failed to make the Best Picture nominees list. He made it look like he was having fun – striking a happy medium between Hathaway’s out-of-control perkiness and Franco’s somnambulism – and acquitting himself as a pro in what could be his last outing on the world stage. Give Billy Crystal his due for waging a comeback worthy of some laughs and applause, if not an Oscar.